In Working The Boxes we usually highlight any recent back issue purchases we've found buried in comic boxes or discovered on eBay that we think are worthy of further attention, but with a compliment of the PCG heading to the London Super Comic Convention this weekend (see our preview of the convention itself here) we thought we’d offer up a little insight of what gems we’ll be keeping our eyes out for as we plunge headlong into the longboxes of the numerous retailers. Matt C: Like an old, creepy businessman, I’ve been lured away from my long time squeeze, the Bristol Comic Expo, in favour of a much, much younger model in the form of London Super Comic Con for 2013. Yes, I know it may seem shallow, but the Bristol Expo isn’t what it used to be and if you can only shower your money on one of them, it’s going to be the one you know is going to show you a really good time. So, yes, for 2013 at least, I’m all yours LSCC! Now obviously the creative talent is a huge draw to any show, and LSCC has one of the most impressive guest lists I think I’ve seen at a UK con before (Dan Slott! Gary Frank! Esad Ribic! Bill Sienkiewicz! 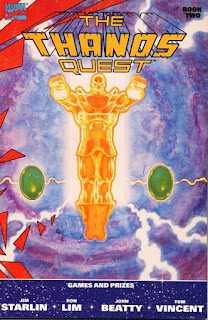 Roy Thomas! And more! ), so I dare say I might thrust an issue or two in front of a select few for signing, but the real thing that sets my pulse racing at these things is the back issue boxes! It’s the thrill of the hunt. Looking for that elusive issue, one that’s escaped your clutches for years, and then finding it at a price far lower than the going rate! I love it, and even though I’ve got more back issues than I have time to read (as my wife repeatedly reminds me) there are still a bunch of comics that I’ll be seeking out this weekend. Way back when I started out at conventions, it was more a case of just pulling out stuff I knew I didn’t have already and liked the look of rather than specifically going after complete arcs or runs. That’s changed over the years, and now I find myself waiting until I have every issue of a run (no gaps!) before I even consider reading it (collector’s mentality ahoy!). 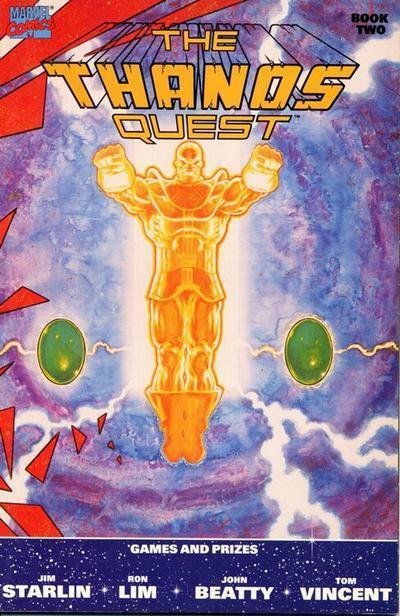 Simon M: Since I went to my first comic convention with my fellow comic chums from the PCG way back in 2007 at the Bristol Comic Expo, I have reignited a passion in trying to complete a few runs starting at the beginning of the Silver Age. The main ones are Amazing Spider-Man, Avengers, Daredevil, Fantastic Four, Flash, Thor, X-Men and then verging into the Bronze Age with Conan The Barbarian and Tomb Of Dracula. Obviously some of them are easier than others in cost and availability, but with all of them I've enjoyed the chase. So far I've been really lucky in finding bargains for Avengers #1, Daredevil #1 and X-Men #1, but Amazing Spider-Man #1 and Fantastic Four #1 have been beyond my grasp. So this weekend at the London Super Comic Con I will be looking to fill some of the many gaps in these runs. I won't bore you by reeling off endless numbers going through the years, but will highlight some key issues. 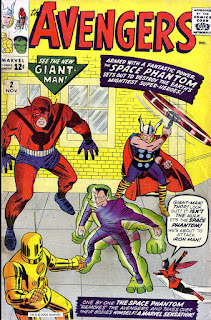 Amazing Spider-Man #3 (the first appearance of Doc Ock), Amazing Spider-Man #14 (first appearance of the Green Goblin), Avengers #2 (Hulk leaves the Avengers), Avengers #3 (Sub-Mariner and Hulk team-up against the Avengers), Fantastic Four #4 (first appearance of the Sub-Mariner) and Fantastic Four #5 (first appearance of Dr Doom). Unless there is some ridiculous pricing there is no way I'm coming home with all of them, but would be happy with one or two. As always it's as much about spending time with good friends as it is about the comics! Stewart R: Thanks to several attendances at the Bristol Comic Expo over recent years, not to mention LSCC and NYCC last year, I’ve slowly been getting into picking up back issues of fairly popular series, though only a handful fall into the late Bronze Age of comics category and most would qualify as Modern Age. Suffice to say that I now have some significant gaps to patch in my collection thanks to a rather haphazard approach to my purchasing and storage. Thankfully, I’ve managed to collate several piles of these convention purchases into one place and can start focussing a little more on what this shopping opportunity may represent. Having picked up missing parts of the 'Acts of Vengeance' tie in from Fantastic Four previously (I received an issue as a gift from an aunt in the late '80s which kickstarted the hunt), I’m now going to look at picking up some more Walt Simonson FF from the time as well as tracking down some Iron Man issues that are scattered in and around the the 'Armor Wars II' storyline. 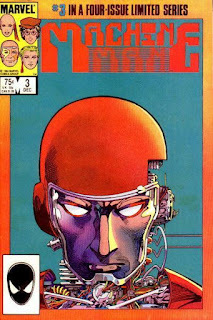 In something of a backwards approach I also need to pick up the first three parts of the Herb Trimpe pencilled Machine Man series having already scored the fourth chapter last year, and I’ll also be looking out for early G.I. Joe: A Real American Hero comics to fill gaps, but as Trimpe is of course attending I’m expecting that to potentially be a harder fight this time around! James R: Unlike my colleagues, I don't have a long list of titles to track down - I'm quite happy with the collection I've got since returning to the reassuring bosom of comics back in '99! However, as a recent X-Men convert I'm dead set on tracking down the few gaps missing in both Rick Remender's Uncanny X-Force run and Kieron Gillen's Uncanny X-Men. Over the last couple of months I've also developed a strange obsession with Frank Miller's All-Star Batman run. At the time, I dropped it after two issues fearing that Miller had not only jumped the shark, but leaped into a parallel dimension of awfulness in the process! However!! ...of late I've read a few blog posts and articles highlighting why it should be regarded as a deranged classic, and so if I can pick up issues for a pound, I'm on it! 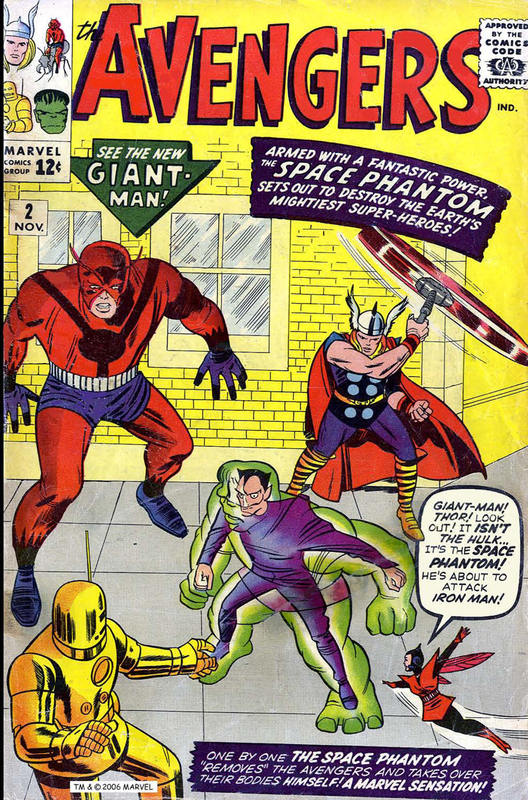 Finally, I will also do my usual thing of going through the back issues and picking out anything a) insane, b) hilarious, and c) dirt cheap, if only to entertain my comrades in the evening and on our journey home. I loves me a good con, and if the LSCC has built on their promising first year, we should be in for a great weekend! Wow there are some great titles your looking to pick up there guys and like yourselves I love going through back issue boxes when I get the chance and for the past year and a half I've been picking up 70's and 80's comics from Mile High Comics in the States,last count I've brought over 3,000 comics so lots of reading to do,and Simon I envy the #1's you have,and if any of you guys have any 70's or 80's comics you want to off load let me know,also Andy showed me the t-shirts you guys will be wearing,they look great and all you need to add is shades and chew gum and your look like the wise guys from Goodfellas......very sharp. Have a great time guys and I look forward to the report and photos.